When it comes to mind blowing, be it action shooters or mind bending strategies, Apple's iOS powered devices are your best bet. The list has the best free games while there are some paid ones which are worth every penny you pay. Populate your iPhone with these spectacular game collection. You can play a lot of amazing titles and here's the best from the lot that got recently launched for your gaming pleasure. 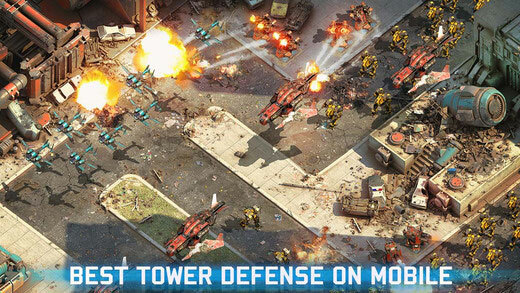 For people who love to play tower defense games, Epic War TD2 is one of the best games for iPhone available right now. It’s a new entrant which has breathtakingly beautiful graphics and allows players to protect themselves with a wide range of weapons, vehicles. There are over 50 missions to accomplish in it. It also promises that players will get at least 100 hours of game play fun while new updates, weapons and features are being added to it regularly. The price you pay to purchase this one is worth to the core. 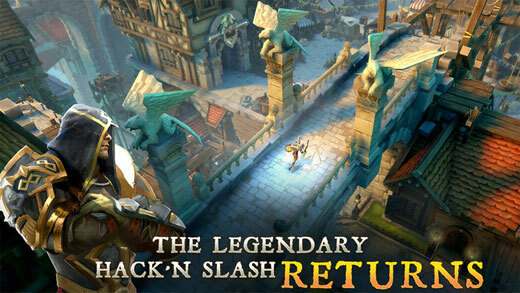 Roleplaying action games are great fun while on the move and Dungeon Hunter 5 is the epitome of them all. The title has a great storyline, excellent line-up of weapons that slash opponents and it’s a fight game combined with strategic elements where you can build your hero with unique powers. The title offers unique weapons and items that you could craft together to increase your magical prowess. If there is one title that easily offers the best action packed experience combined with story and strategic roleplay elements, it is Dungeon Hunter 5 for iPhone and iPad. Racing games are inevitable on every platform. For players who are looking for a game app for iPhone that would allow them to experience more cartoon like experience similar to Nintendo’s Mario Kart 8, MiniDrivers is a fantastic pick. The game has realistic car controls but uses subtle, cute animations which make is the best racing title in recent times. 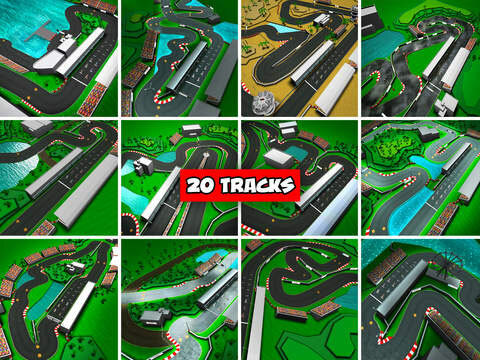 There are also global leader boards and multiplayer modes where you could compete with the best racers around the globe. In the past, most stick games literally featured a plain stick man who would be doing various quests. Nonetheless, Stick Cricket 2 differs from what you have seen so far. It features real, cartoon animations and gameplay style from real cricket matches. If you love sports games, this is a must have on your list. The game's quality is on par with baseball titles and it is even ideal for casual gamers, who may never hear about cricket. 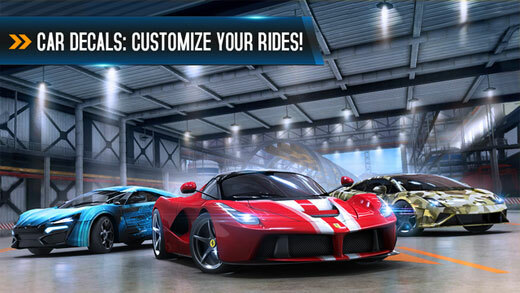 Designed by Gameloft, Asphalt 8 Airborne is the king of racing titles on the iOS platform. Besides, it is a free iPhone game app that you just can't miss. There are in-game purchases but there is no mandatory requirement to buy any, as the game's basic levels and maps are free to play. It receives constant updates, has the best graphics and will easily be the visually impressive pick for your iPhone. Have you had a chance to play Little Big Planet on Playstation consoles? If you did, sack boy should be very familiar to you. The same character comes to life on the iPhone in an endless running game which is fun, addictive and has some stunning worlds to run in. It also has power-ups, in-app purchases and new costumers that you could own. 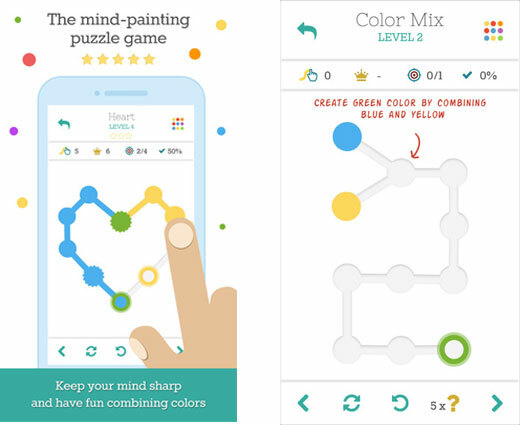 Puzzle games are plenty and they are pretty addictive than you could have ever imagined. There are so many colors on the screen and your objective is to keep swiping them to move so that they can join with similar colors. It's easy to learn but might take a long time for you to master it as the puzzles get more tricky with every passing level. 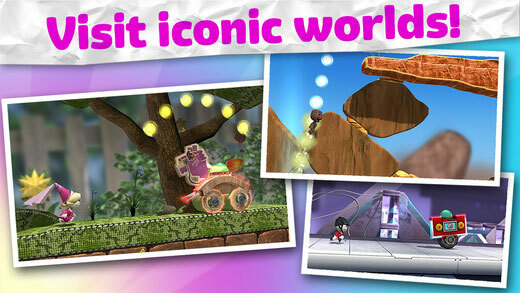 The game is totally free to download which makes it a must have title on your device. The game might be familiar for most because it has been around for a long time. Jetpack Joyride deserves a special mention here as one of the best games for iPhone because it receives constant updates, has realistic objectives and has easy pick n play design, suitable for casual players. The playful graphics with amazing physics and realistic enemies make it more fun that you would hardly be inclined to put it down. There are 8 different iPhone game apps for your reference, which one do you like? Actually, no matter which one you like, you can download it to your iPhone, iPad or iPod touch via the links above without hassle. What's more, if you need to switch iPhone 5 to iPhone 6 Plus, you also can come here to learn how to transfer apps to new iPhone within few clicks.